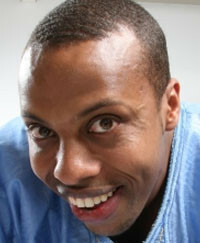 Prince Abdi is a British stand up comedian/Actor/Writer. His versatile and unique story telling makes him a feel-good comedian and one to watch. As well as being a regular on the UK comedy circuit , Prince Abdi has performed in various countries overseas including USA, Canada, Turkey, Holland, Northern Ireland and Kenya. Prince Has Supported the Likes of Dave Chappelle, Stephen K Amos, Jack Whitehall and Reg D Hunter. Prince has written and starred in his own TV sketch for the BBC, Comedy Central and ITV as well as comedy and drama features. Comedy Central (The World Stands Up). Diary of a badman ep10. Prince is currently performing live stand stand up comedy nationally and internationally including the comedy store UK/US.